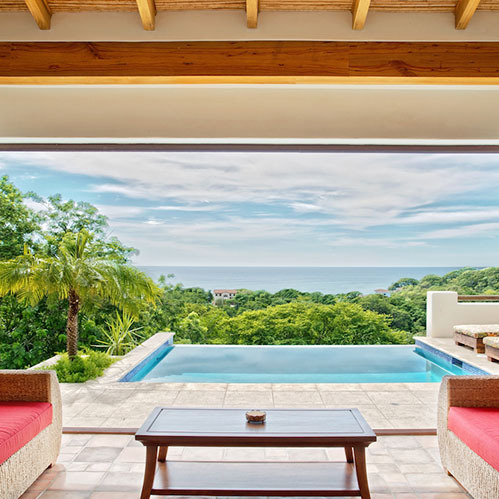 Casa Bello Amanecer is a three bedroom, three bath home with a swimming pool and breathtaking views of the Pacific Ocean. 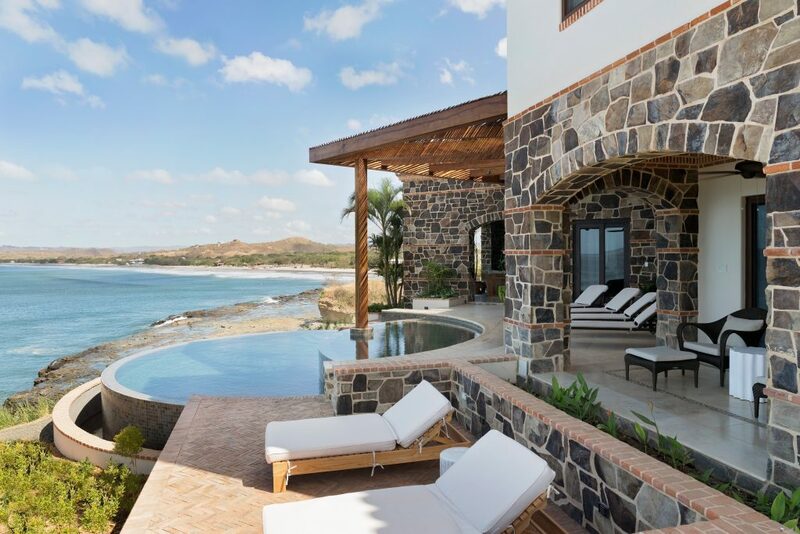 Casa Castana is a three bedroom, two and a half bathroom home with sweeping ocean and valley views. 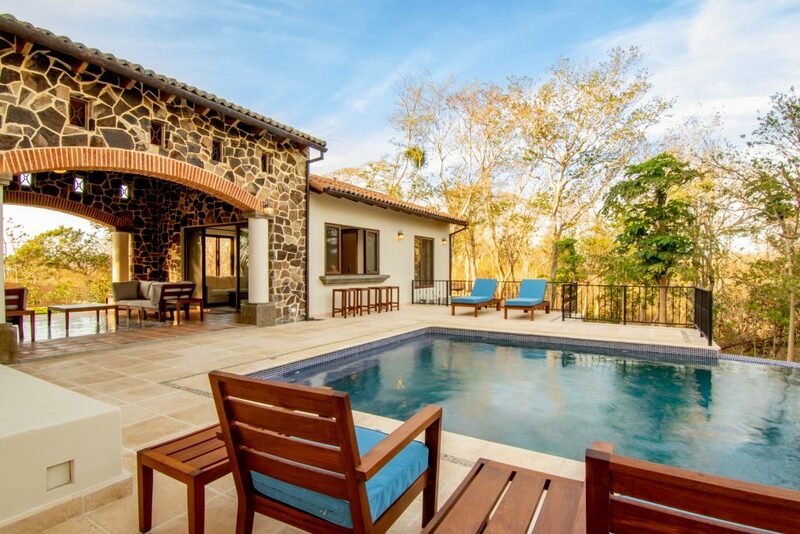 Casa de la Selva is a beautiful house with four bedrooms and three and half baths perched on top of the hills of Rancho Santana. 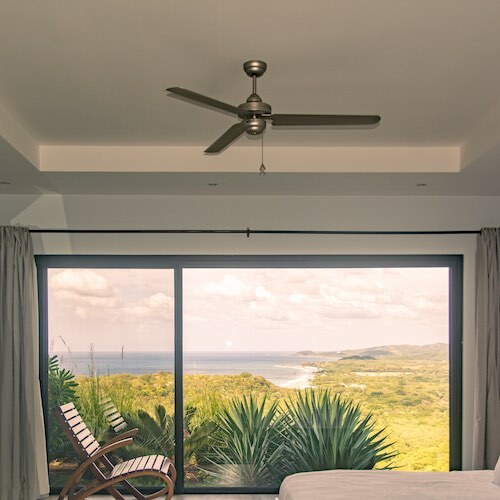 Its secluded location will guarantee a peaceful stay overlooking the valley and the Pacific Ocean. 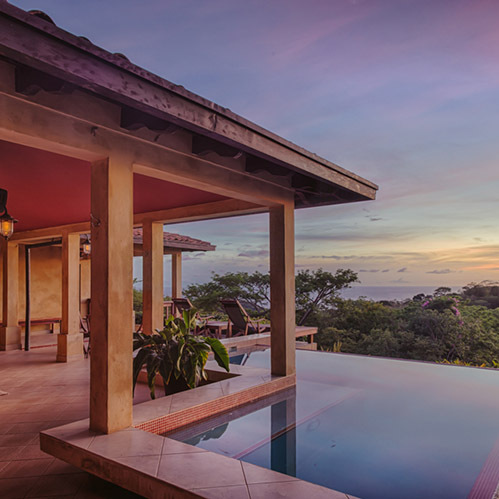 Located on top of a ridge, El Mirador is a four bedroom, four and a half bathroom secluded private home with views along the Nicaraguan coast both north and south as well as beyond to Costa Rica. 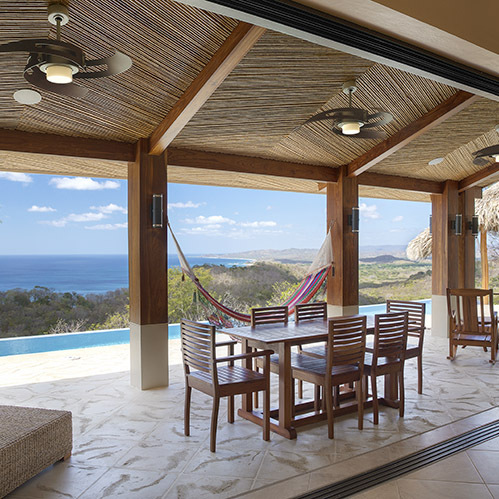 Casa Estrella is the perfect spot to enjoy the good life. 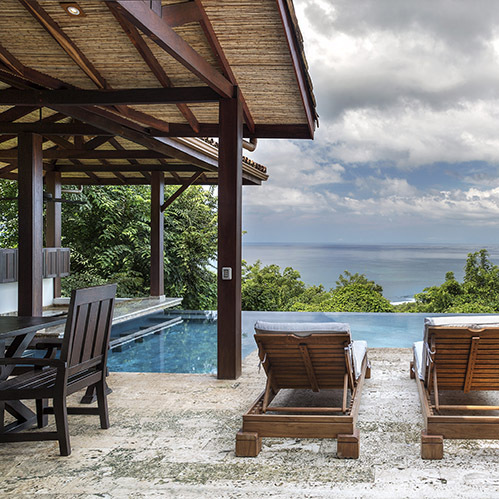 This three bedroom/three and half bathroom home boasts incredible views of the ocean and hillside. 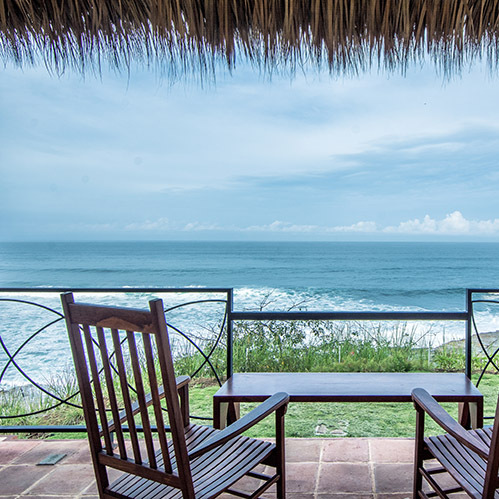 Casa Los Perros is four bedroom, four and half bathroom home with a separate two bedroom, two bathroom casita located abouve Playa Los Perros. 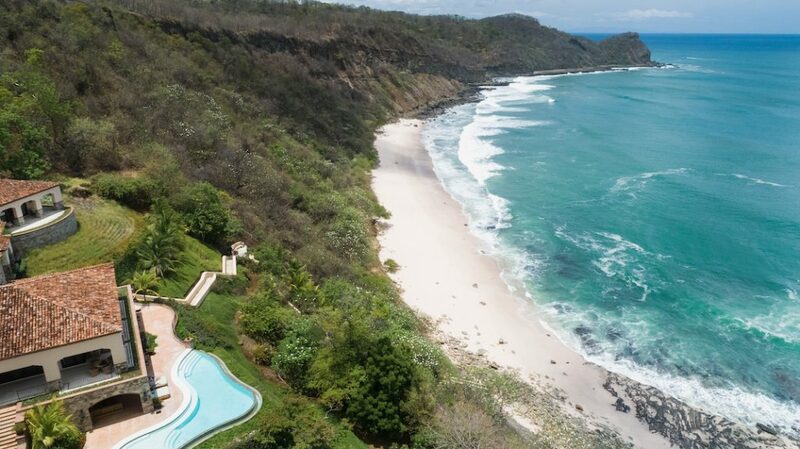 While Casa Los Perros does have a pool, it is steps away from the Pacific Ocean (one very large “pool”). 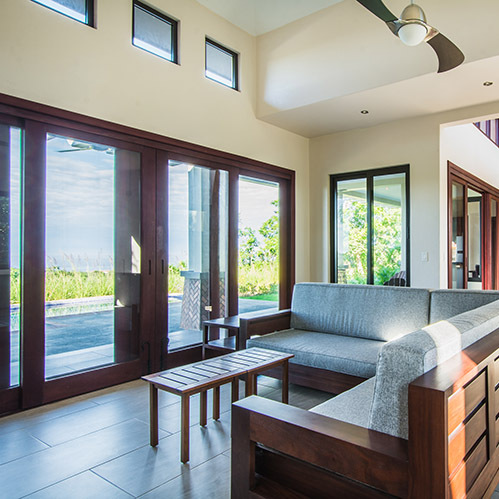 This three bedroom, three and a half bathroom boasts an extra-large outdoor space complete with bar and dining area overlooking the ocean. 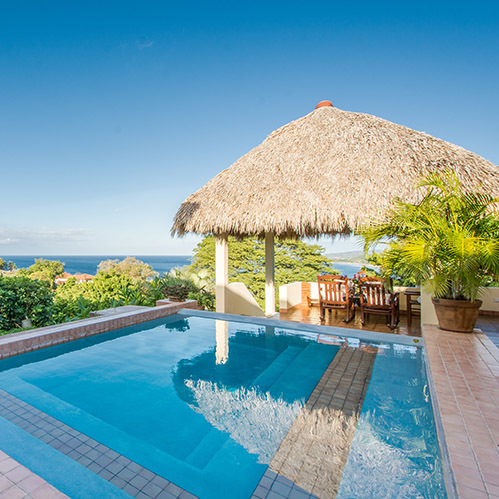 Casa Palapa is a three bedroom, three and a half baths home with expansive ocean views. 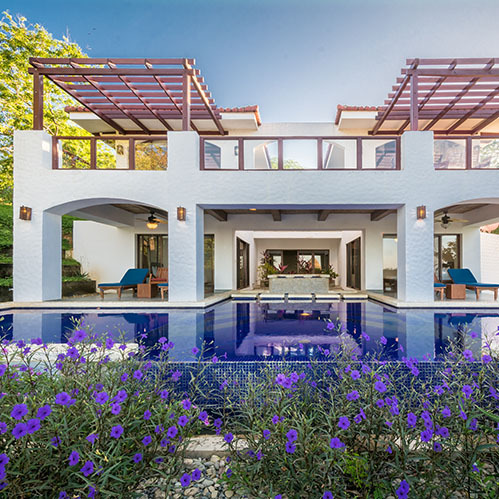 Casa Paloma is a stylish and spacious multi-level home with three bedrooms and three and half baths. 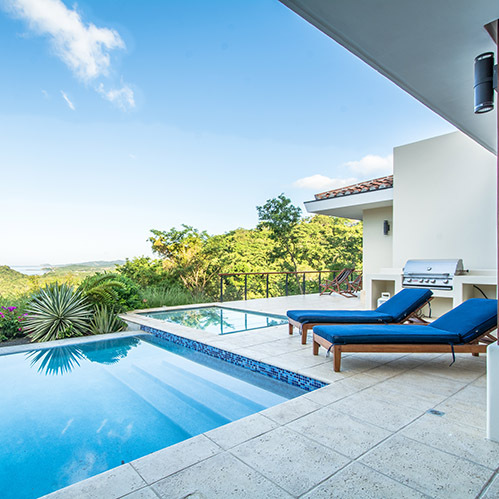 Casa Rica is a newly renovated three bedroom, three and half bathroom home overlooking Playa Rosada. 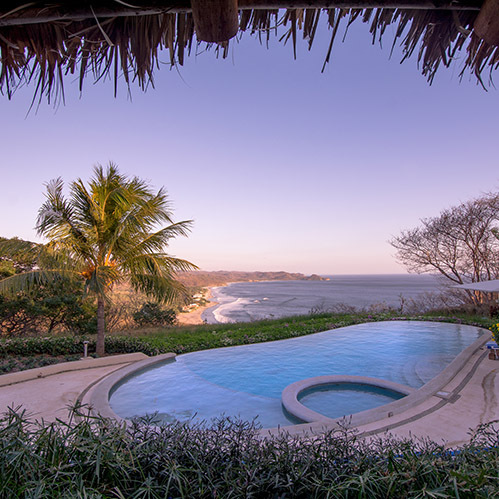 Casa Sara is a five bedroom, four and a half bathroom home overlooking Playa Los Perros with breath taking views all the way to Costa Rica. 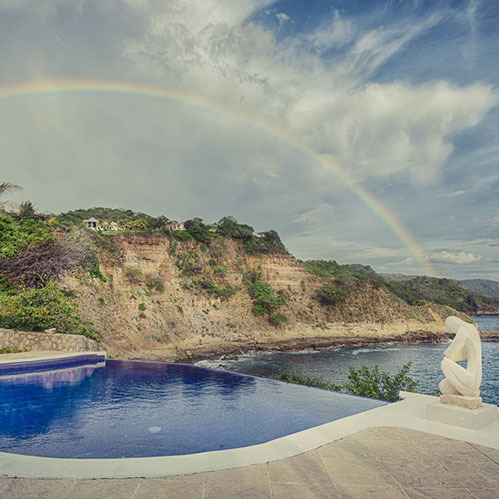 Casa Sueno Santana is a two story, cliff side home with three bedrooms, and three and a half baths. 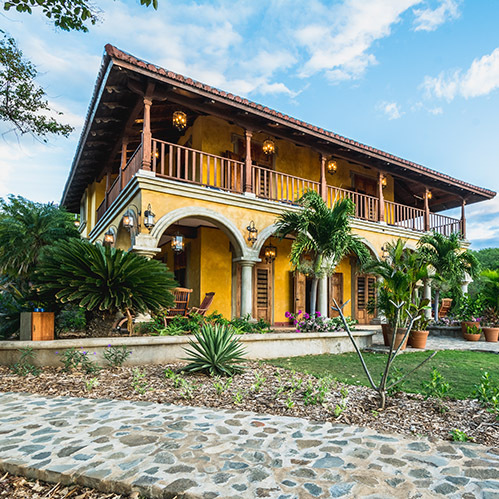 Four bedroom, three and a half bath home Casa Tres Hermanos is a contemporary home with traditional touches throughout. 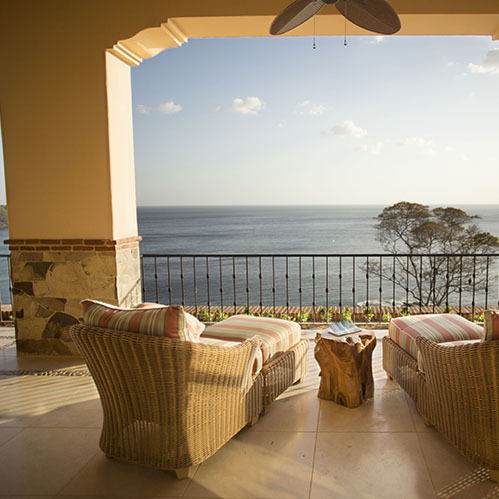 Whether it is one more sunset or morning coffee, Casa Una mas will leave you wanting just one more. 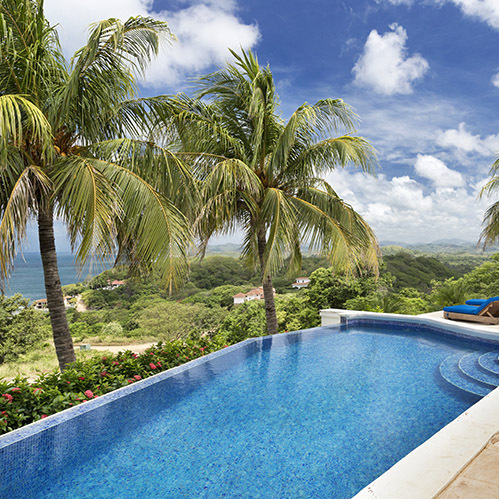 La Casa Mas Alta sits on the top of seven private acres at the highest point in Rancho Santana. 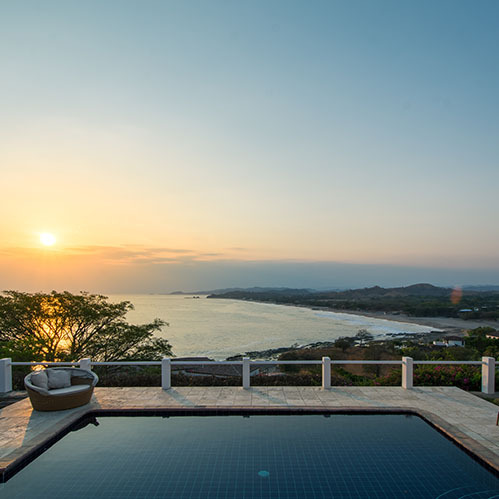 This four bedroom, five and a half bath home sits above Playa Escondida, offering panoramic views of Nicaragua’s Pacific coast. 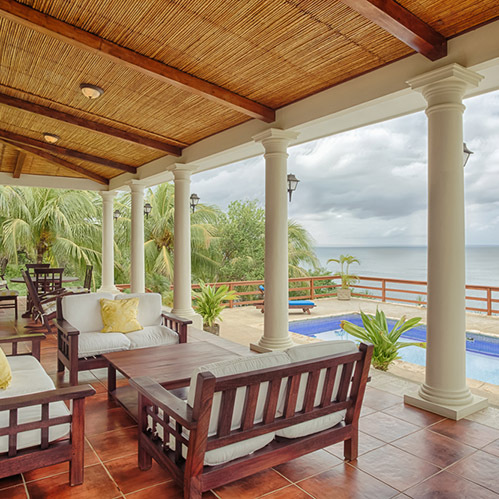 Villa Juliana is a five bedroom, five full and three half bath ocean-front home. 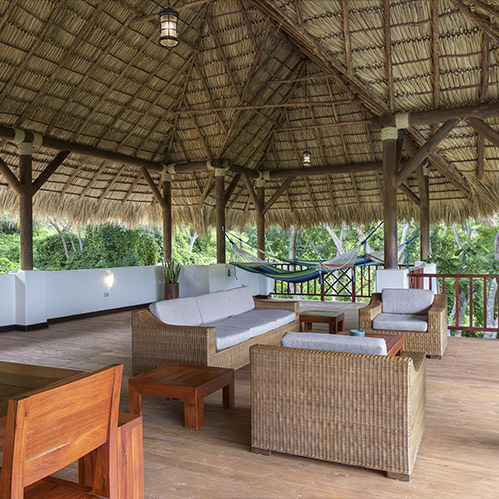 This will be your idyllic family vacation villa on the Pacific coast. 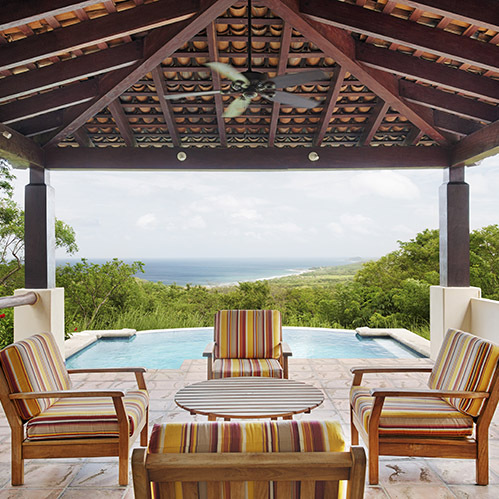 Villa Palisades is a stunning three bedroom/ three bathroom villa set on the cliffs above the Pacific Ocean just steps away from Playa Rosada. 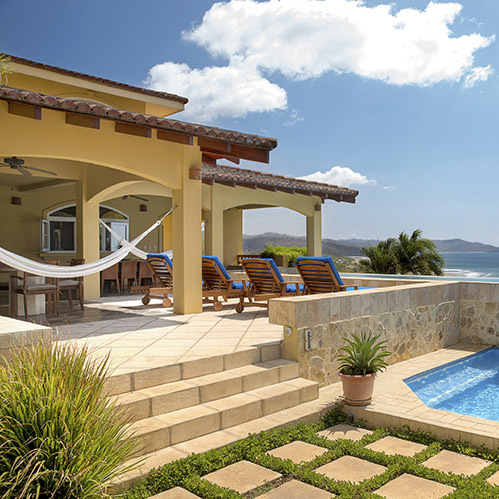 Villa Querencia is a four bedroom, 4 bathroom home in the Playa Rosada area.